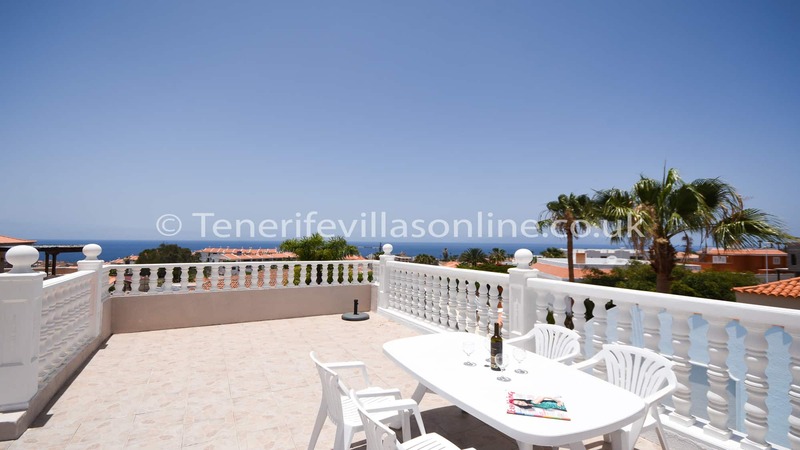 Tenerife Villas Online offers this beautiful spacious detached 4 bedroom 4 bathroom villa with several large terraces and beautiful Canarian gardens and private heated pool. 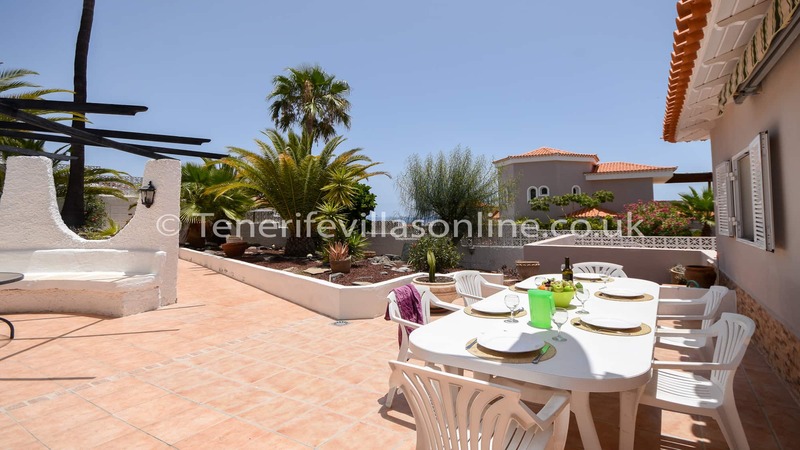 This villa also offers a fabulous roof terrace with sea and mountain views, situated in a residential area in the resort of Callao Salvaje, only 10 minute walk to the beach and local amenities. 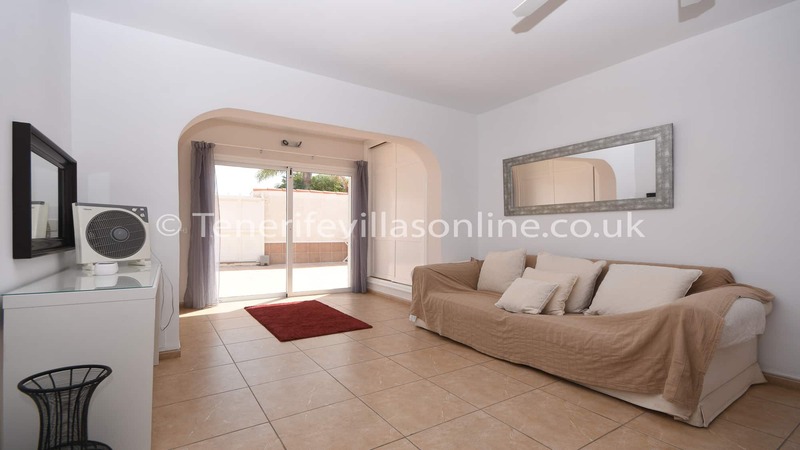 This spacious villa is situated in a large plot and internaly is very bright and airey throughout with cream marble flooring. Free wifi is included. 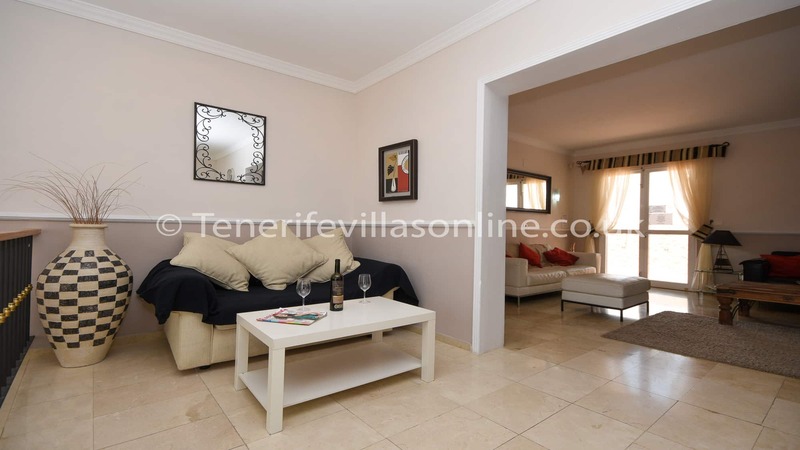 The villa is highly recommneded for you holiday lettings in Tenerife. 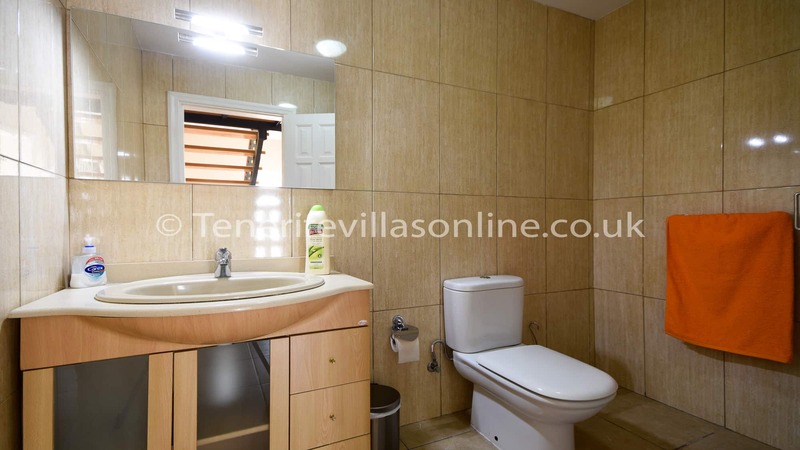 You enter the villa on the ground floor where you have two bedrooms and shower room. Bedroom 1 offers a king size bed, fitted wardrobes, ceiling fan and doors that lead to one of the many terraces. 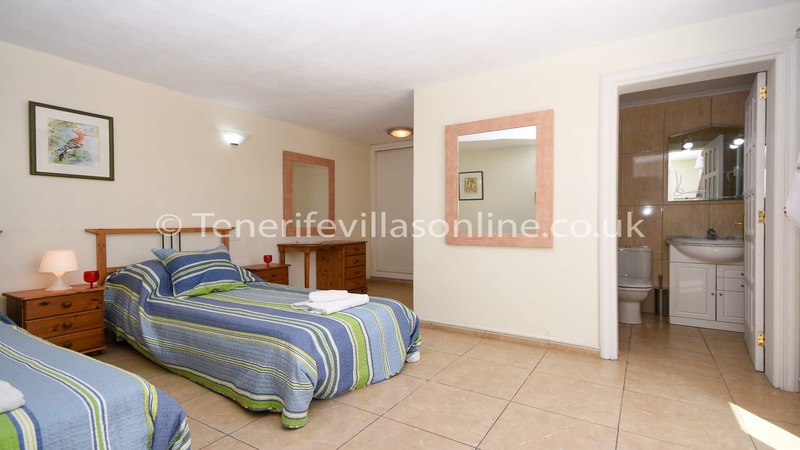 Bedroom 2 has twin beds, fitted wardrobes, and patio doors that also lead to a sun terrace. Bedroom 2 has an en suite with shower cubicle. This level also has separate shower room with WC. A stylish staircase with wrought iron bannister rails leads to the upper level, at the top of the staircase is a stair gate for child safety.At this level is the remainder of the villa accommodation. 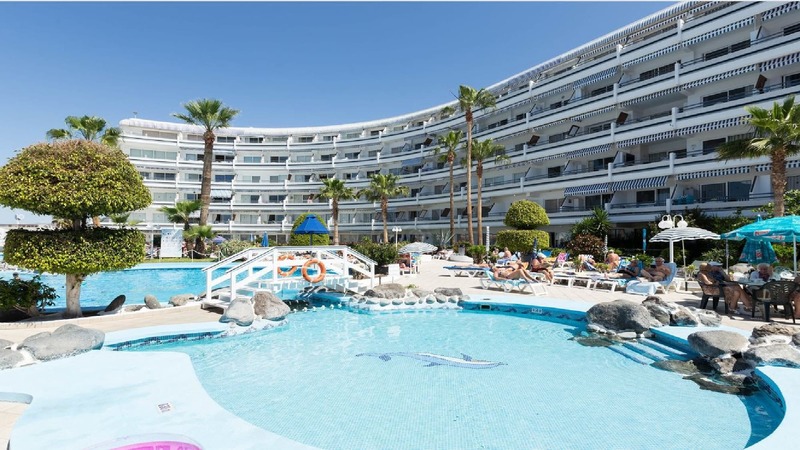 The large lounge consists of a large TV with all UK terrestrial channels plus DVD player. The lounge also offers a CD player, 2 x 3 seater sofas. Off the lounge is the large separate dining area with table and leather chairs for 8 plus a two seater sofa. 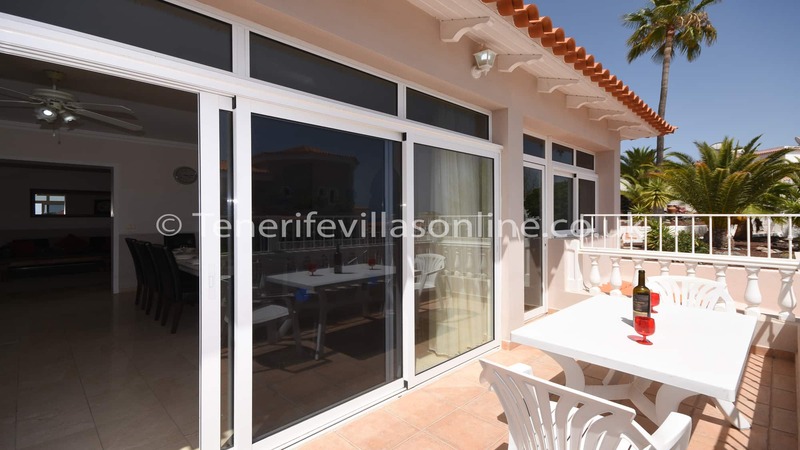 The dining area has doors leading to the main pool, sun terraces and gardens. 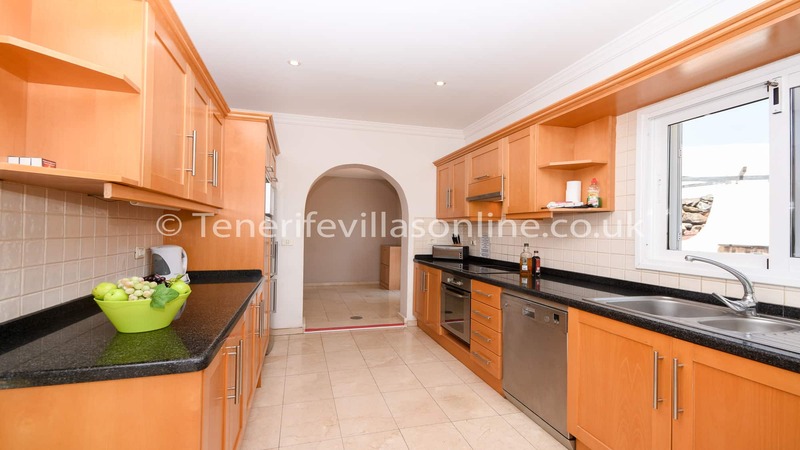 You will also find the superb modern kitchen with has granite work surfaces, fridge/freezer, oven hobb, dishwasher, microwave, toaster etc plus all the normal kitchen utensils you would come to expect in a villa of this quality. There is even a door to its own balcony with views. The other two bedrooms are on this level. Bedroom 3 has a double bed, fitted wardrobes and doors to its own balcony. 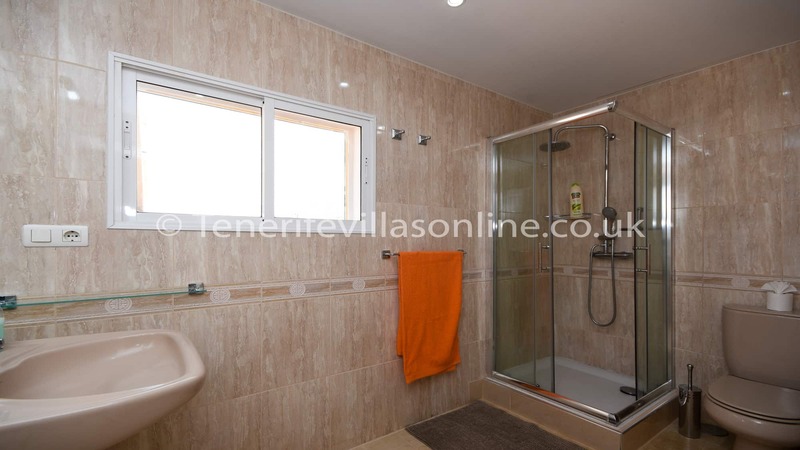 Bedroom 4 has twin beds and large wardrobes space, The family bathroom comprises of a bath and there is another separate shower room with shower cubicle. There is a safe fitted at the villa. 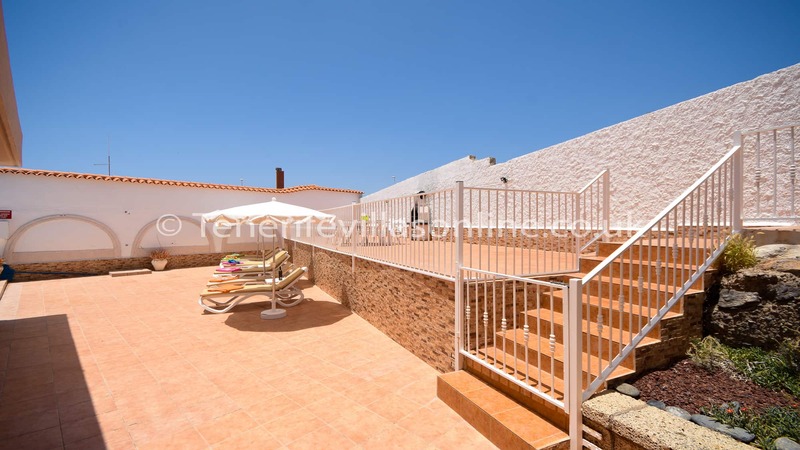 The large exterior of this villa has the approx 8 x 4 metre heated pool and has a depth of around 1.2 metres, you access the pool by the pool ladder. 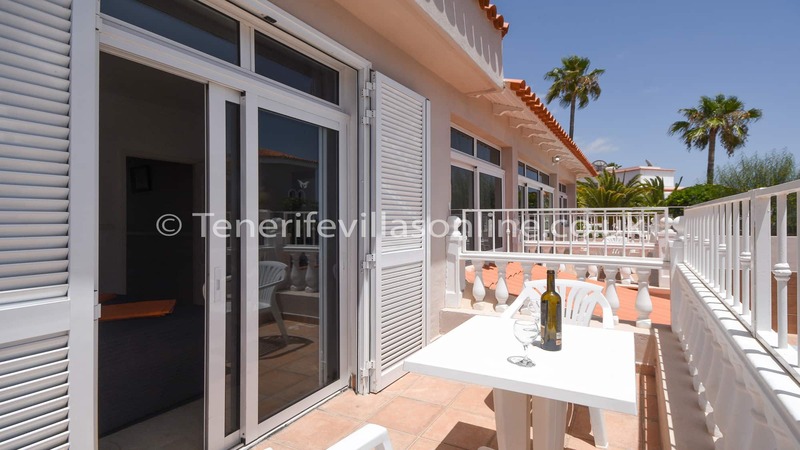 There are several terraces which consists of several sets of patio furniture and 8 sun loungers. 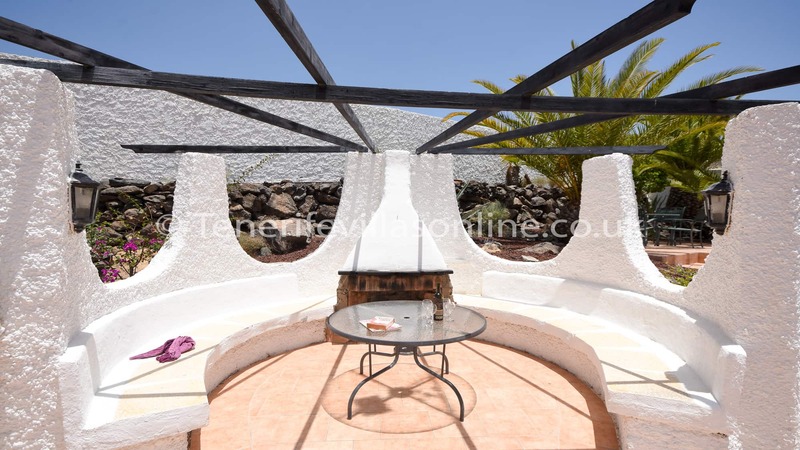 The roof terrace which is accesible from an outside staircase and has stunning sea views which enables our guests to sample the wonderful sun sets that Tenerife has to offer over the island of La Gomera. To the side of the villa are the Canarian gardens that consistsof a number of palm trees and shrubs plus there are other seating areas and a unique fabulous Canarian fireplace for those BBQ’s in the evening. The BBQ is also include. 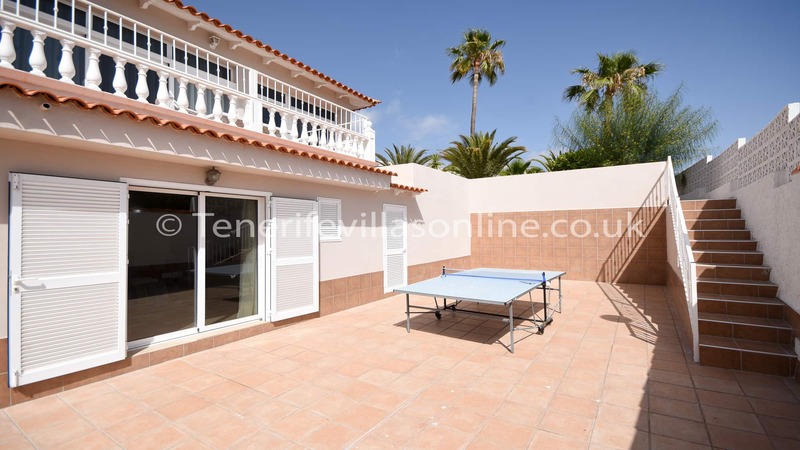 The front of villa is yet another terrace with table tennis and a small outside laundry room with washing machine. 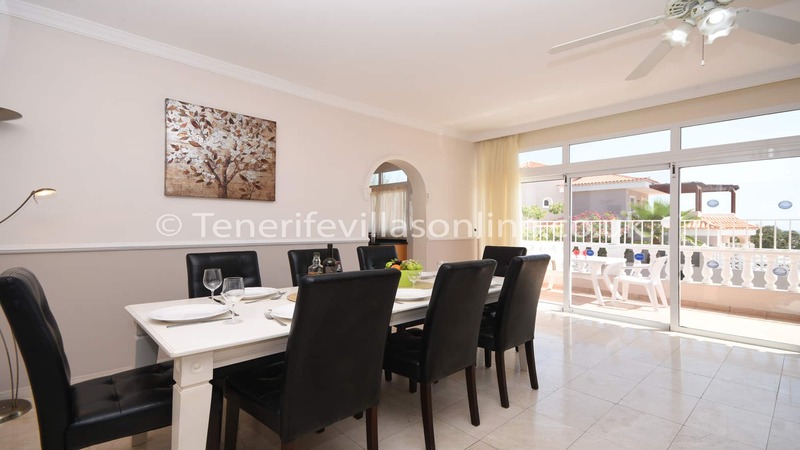 This villa is maintained on a regular basis to a high standard and the property manager is very hands on if any problems arise. 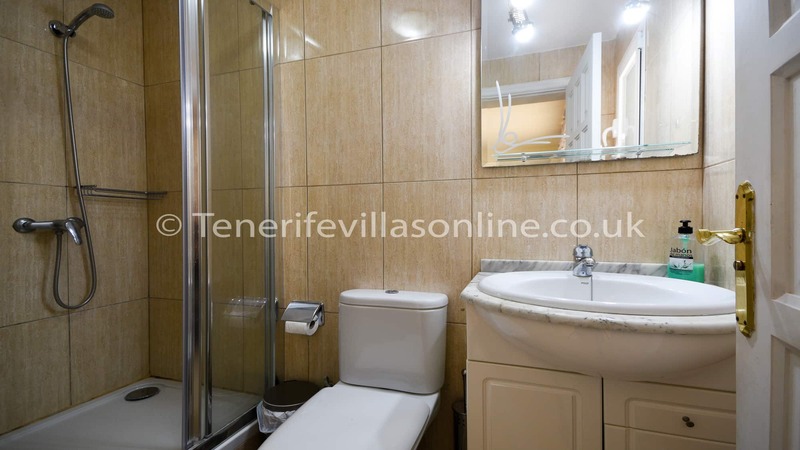 This apartment is located on the south west coast of Tenerife in a peaceful resort called Callao Salvaje. 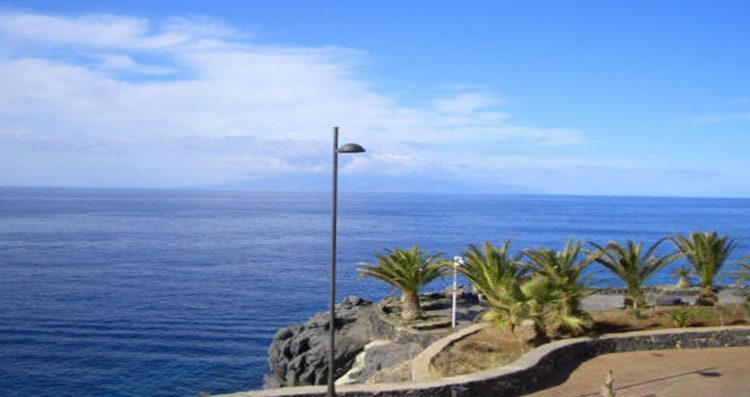 Callao Salvaje is situated directly in front of the island of La Gomera and offers magnificent views especially at sunrise/sunset. The resort also has a new beautiful man made beach which was completed in 2012, it has its own little jetty which is very good for fishing, snorkelling etc. 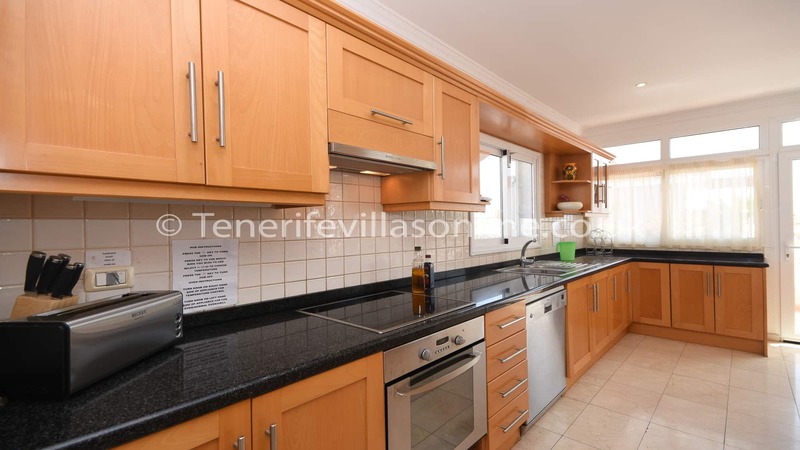 The apartment is in the centre of Callao Salvaje in a good position where you will find hotels, restaurants, bars, shops, supermarkets, banks, taxi rank, bus stops, pharmacy, doctors, cafes, bakery, butchers, tennis courts and football pitches etc. 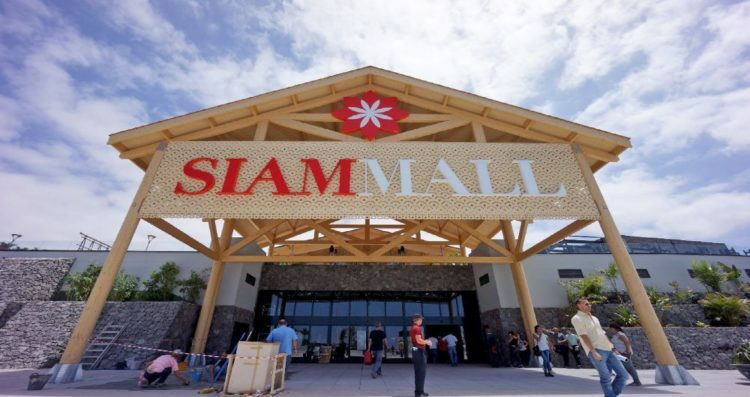 This resort does have some fantastic restaurants which are well known over the island, it also has late night bars with entertainment. 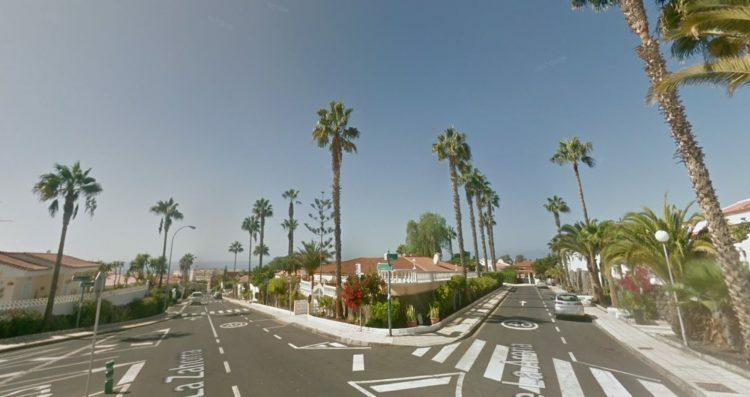 Callao Salvaje is only a 10 minute drive or 15 euros in a taxi to the busier areas such as Los Cristianos and Las Americas. 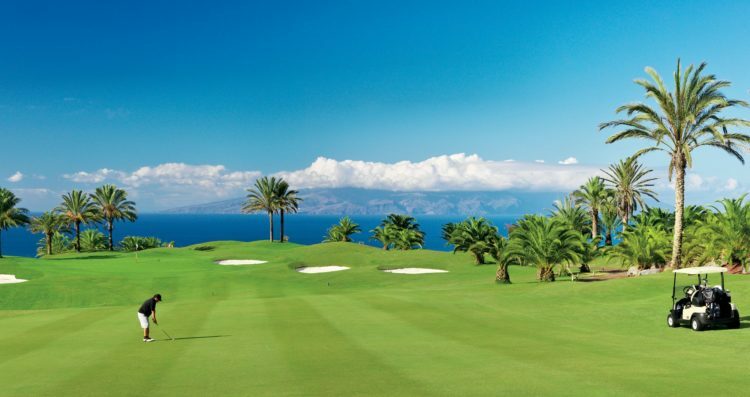 The wonderful golf courses in Costa Adeje and in the Abama aswell are only a short drive away. The price quoted below is for 8 guests plus infant. Due to high demand please add additional £200 per week for all school half term and Easter weeks. We accept any day changeover on this apartment for any duration. Cots and high chairs can be supplied upon request free of charge. Just wanted to say thank you so much for all your help with regard to booking the villa and payments. We had a fantastic time and loved the villa and the resort, will definitely be returning. The villa we stayed was excellent and we had a great time. 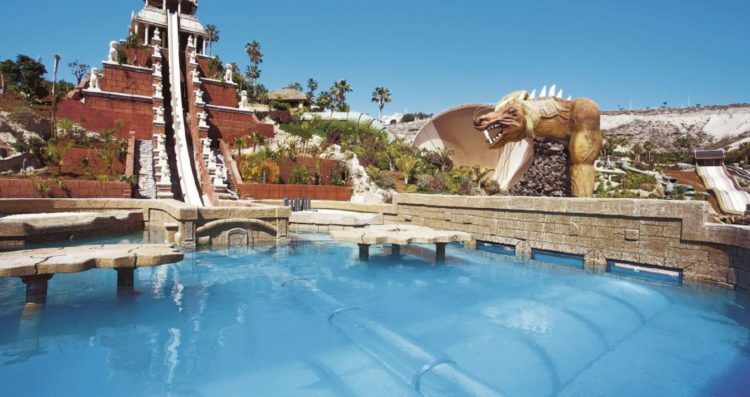 I would highly recommend the villa and going through Tenerife Villas, we as a family could not fault it. The villa was fantastic and we all enjoyed the holiday. It was an excellent break for us and your villa couldn't have been more perfect. I stayed with family at Villa Rochelle for a week. With four adults, two teens and two children we needed space and Villa Rochelle did not disappoint. Plenty of room inside and out for us all. 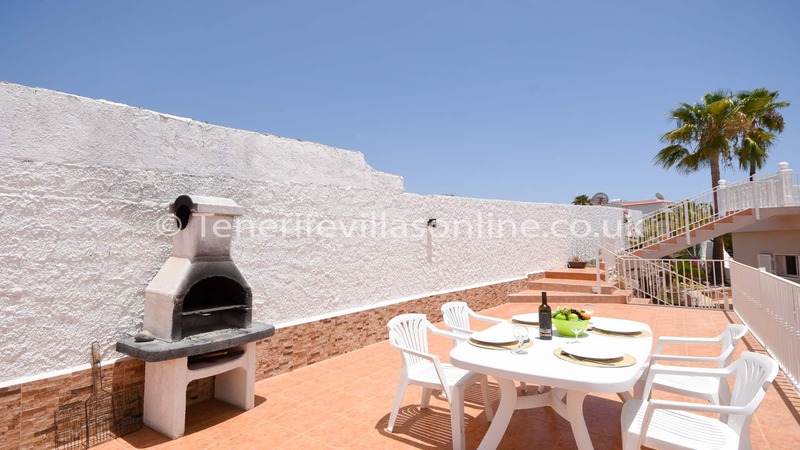 Location is perfect and the view from the roof terrace is amazing, especially in the evening. Elaine and Paul who manage the property ensured we had the groceries we needed for breakfast after a late evening arrival and the bottle of champagne provided by the owner to welcome us was a lovely extra touch. All in all, a lovely property in a great location! Date of stay: July 2017 Villa was absolutely superb,faultless. Date of stay: March 2017 Just wanted to say thank you so much for all your help with regard to booking the villa and payments. We had a fantastic time and loved the villa and the resort, will definitely be returning. Date of stay: January 2017 The villa we stayed was excellent and we had a great time. 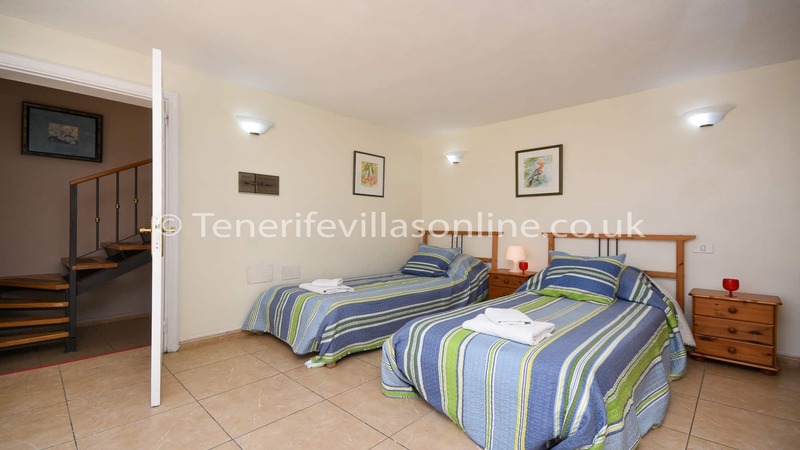 I would highly recommend the villa and going through Tenerife Villas, we as a family could not fault it. 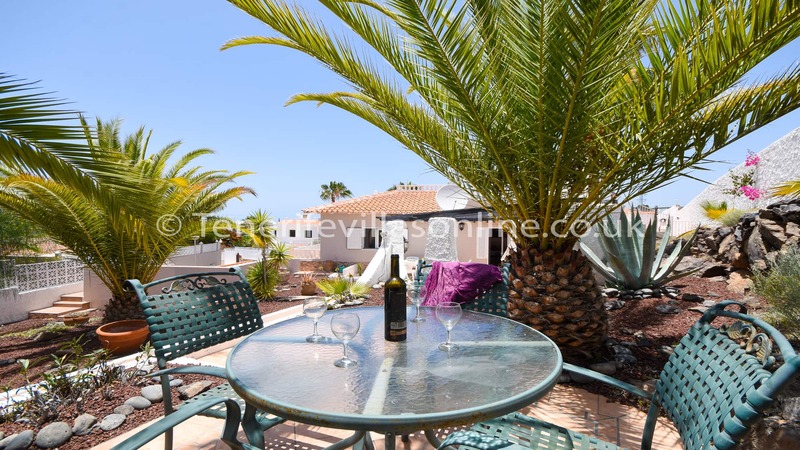 Date of stay: September 2016 The villa was fantastic and we all enjoyed the holiday. 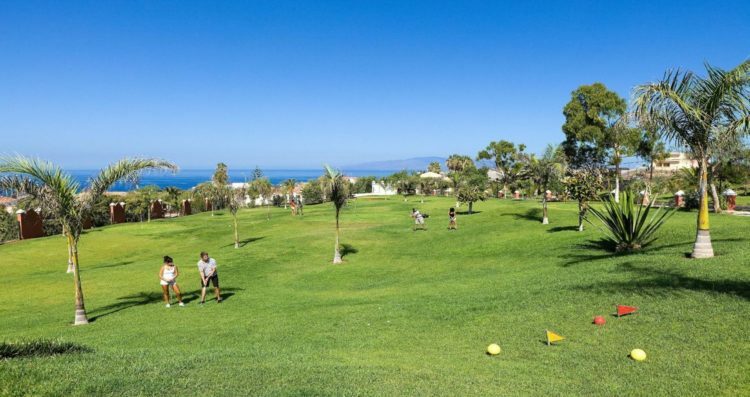 Date of stay: August 2016 Hello there, Just an email to say thank you very much for letting us stay at your villa Callao Salvaje, It was an excellent break for us and your villa couldn't have been more perfect. Date of stay: March 2016 I stayed with family at Villa Rochelle for a week. With four adults, two teens and two children we needed space and Villa Rochelle did not disappoint. Plenty of room inside and out for us all. 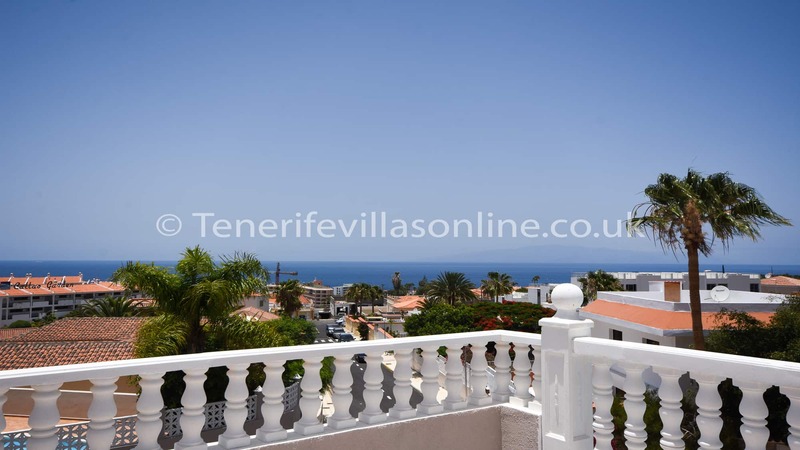 Location is perfect and the view from the roof terrace is amazing, especially in the evening. Elaine and Paul who manage the property ensured we had the groceries we needed for breakfast after a late evening arrival and the bottle of champagne provided by the owner to welcome us was a lovely extra touch. 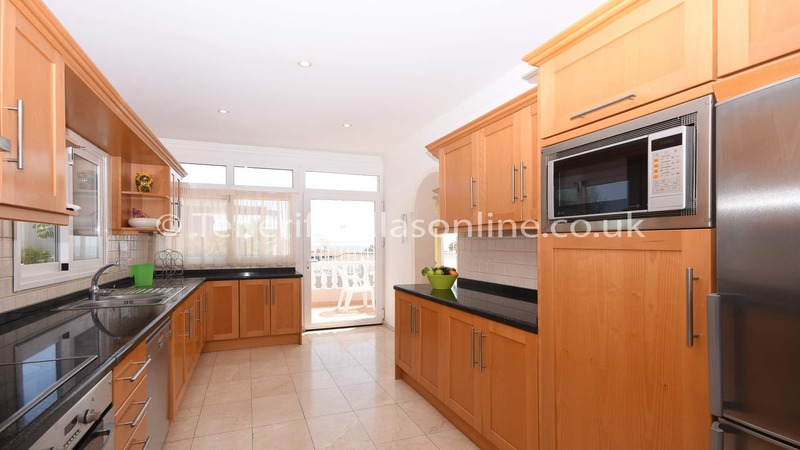 All in all, a lovely property in a great location! 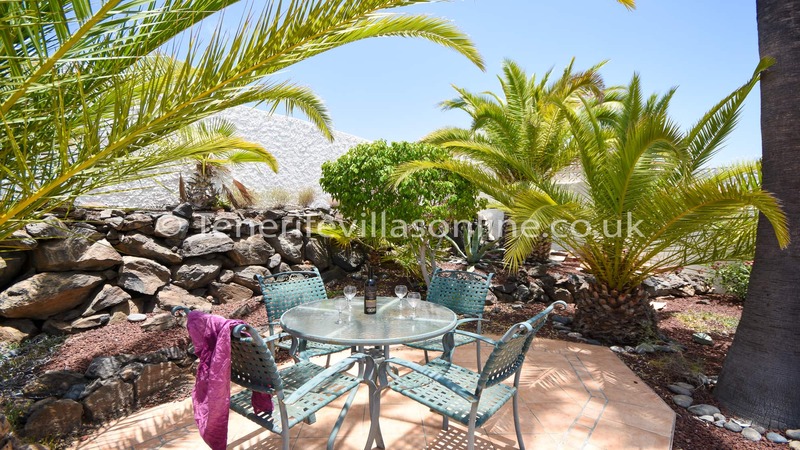 Date of stay: August 2015 This is what can I say about you and the villa: Villa was a good location for us. 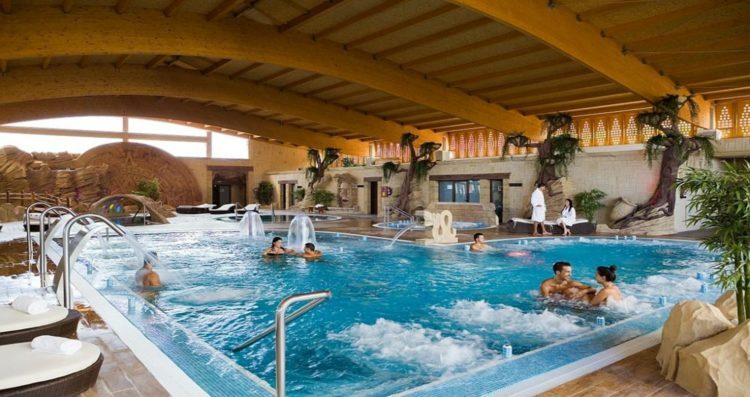 We were 5 adults and 1 children (4 year old) The space and the pool were a good value. The villa is in a quiet neighborhood. 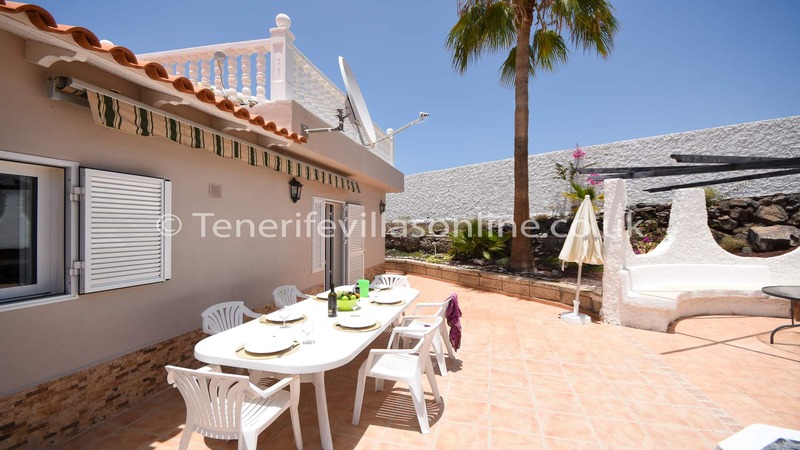 So we have had very good holidays The service of tenerifevillaonline is very well, from the begining (questions about the villa) to the end (return of the keys) through the instructions to go to the villa and the reception in the villa. Date of stay: April 2015 Thank you for arranging that. We enjoyed our stay immensely. The house was perfect for us. 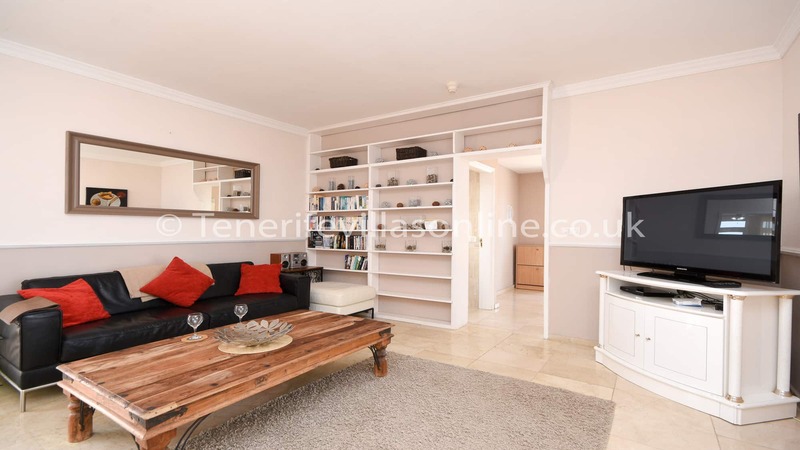 It was a fabulous size, private and the split level down to the pool meant that we could also get some space whilst being close to the children when they were playing. It was also great to have a choice of movies there in english for the evening when we were all tired and when we wanted the children to wind down before bedtime. Thank you for the use of your property. We hope to return again in the future. 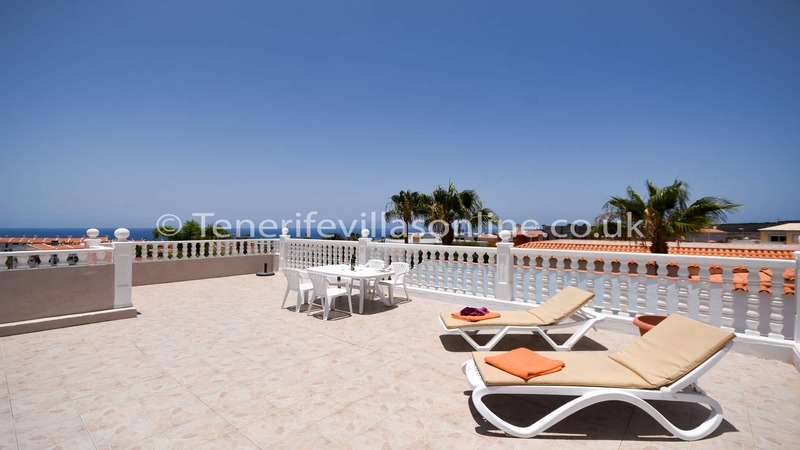 Tenerife villas online offers a large selection of holiday lettings with villas to rent in Tenerife including private pools and heated pools. 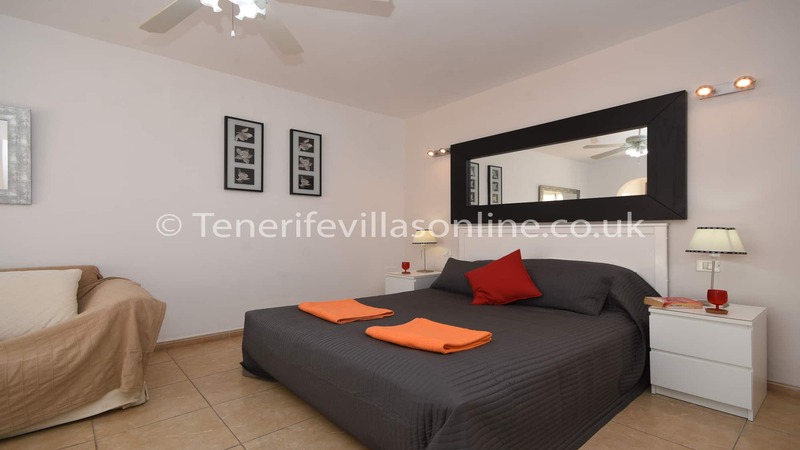 Tenerife villas online specilaise in all types of tenerife villas and apartments including many luxury in areas such as Las Americas, Los Cristianos, Callao Salvaje, Sueno Azul, San Eugenio, Playa Paraiso, Costa Adeje, Fanabe, Del Duque, Torviscus, El Medano. 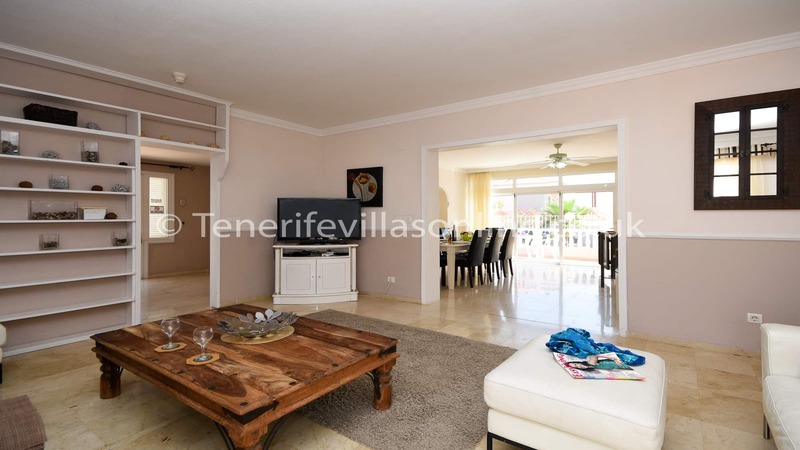 © Tenerife Villas Ltd 2018. All rights reserved.